Councillors took the matter pretty seriously. A 10-year-old Ontario girl convinced her local city council to approve her request to own a pet hedgehog. Hedgehogs as pets are prohibited in Markham, Ont., according to the city's bylaw (as are elephants, aardvarks and grizzly bears, among others). 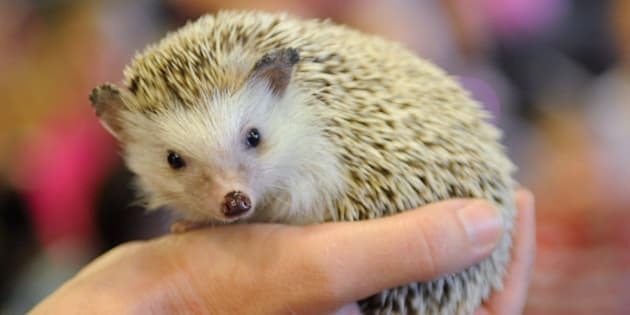 Hedgehogs are a pretty popular pet, but are listed as prohibited because they can be hard to care for. The Ontario SPCA says hedgehogs are nocturnal, can be difficult to handle and find veterinary care for, and can harbour salmonella — meaning hand-washing is a must after handling them. Discussed removing hedgehogs from the prohibited list. Undertook research on how much maintenance hedgehogs require as a pet. Consulted the Animal Care Committee. Passed a motion against removing hedgehogs from the prohibited list. Investigated the breeder the family wants to adopt the hedgehog from. Had staff meet with the girl's family to review hedgehog ownership. Put forward a report recommending an exemption be granted for the girl to own a hedgehog. Suggested the $200 exemption fee be waived, "given that the request is being made on behalf of a minor child." According to CBC News, the matter was discussed for almost 30 minutes at council on Tuesday. The vote to waive the girl's adoption fee lost, but councillors eventually voted to approve the hedgehog adoption request. It looks like Au got a good, thorough look at how municipal politics work.